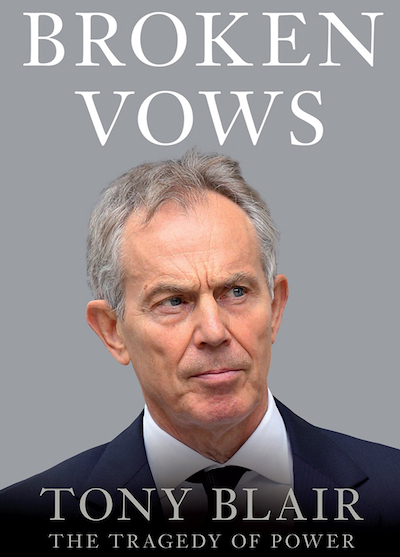 UK politician Nick Brown is suing author Tom Bower over a sentence in Bower's biography of former Prime Minister Tony Blair. Bower's book, Broken Vows (2016), includes a reference to Brown's relationship with another man: "Nick Brown, the new minister of agriculture, was accused by the News of the World of paying £100 to rent boys in order to be kicked around a room, and admitted his sexuality." Bower's description of Brown being "kicked around a room" was presumably based on Alastair Campbell's book Power & The People (2011), the second volume of his political diary. Campbell wrote that the News Of The World newspaper gave him advance notice of the story it was planning to run on Brown's private life: "They said they had the confession of a self-confessed rent boy who had been paid £100 a time to beat up Nick and kick him around a room." Campbell's diary includes denials from Brown about the beating, kicking, and payment, making clear that they are untrue. In its article (published in 1998), the News Of The World also included Brown's denials, and made no reference to the unsubstantiated beating or kicking claim. However, Bower's book does not include any denials; it also distorts the facts (using the plural "rent boys") and implies Brown's guilt (noting that he "admitted" his sexuality). Bower misrepresents the issue by reducing it to a single sentence, and an earlier edition of Campbell's diary, The Blair Years (2007), was similarly misleading: "The News of the World had apparently trapped Nick Brown with rent boys".